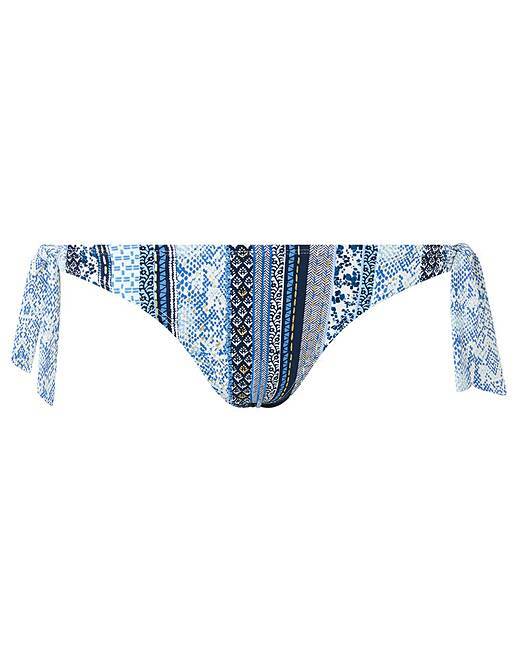 Our Micah bikini pants put the glamour into your getaway with their shimmering foil print. Their tie sides offer an adjustable fit. Matching top available.